Health & BeautyScitec Guarana - 100 tabl. 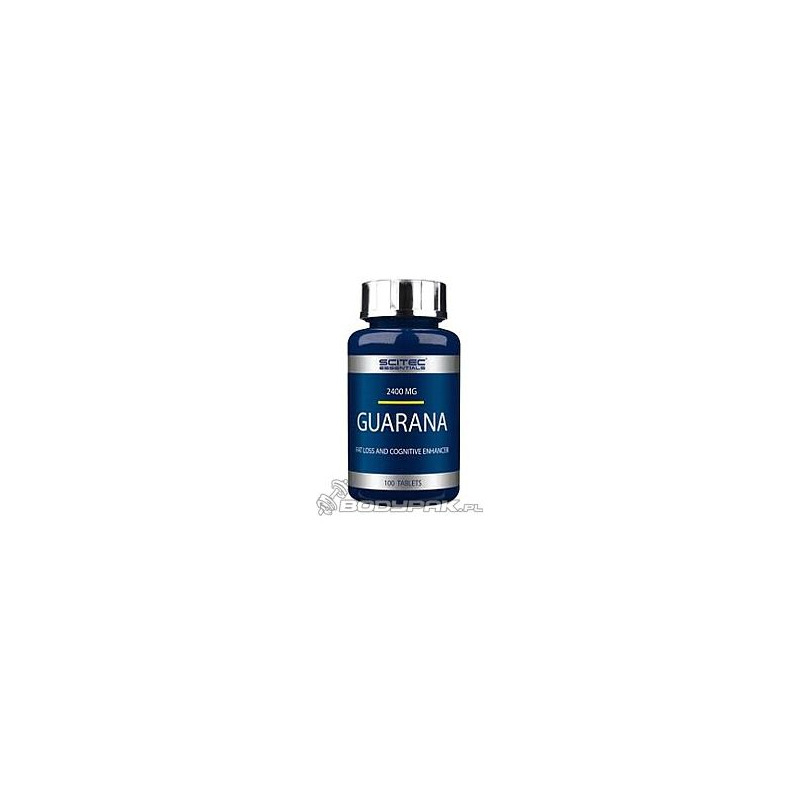 Scitec Guarana - 100 tabl. Guarana is a natural, herbal source of caffeine and other phytochemicals. It helps in increasing the amount of energy, increases concentration and also helps in maintaining the diet. Scitec Guarana - is a natural, herbal source of caffeine and other phytochemicals. It helps in increasing the amount of energy, increases concentration and also helps in maintaining the diet. cultivated in Brazil (Paullinia cupana), which is one of the richest in the plant sources of purine alkaloids, among others, caffeine. Guarana reduces appetite and helps to burn fat. Scitec Guarana stimulates the nervous system, increases concentration, suppresses appetite, improves overall fitness and endurance of the body. Caffeine contained in it is a thermogenic agent, so that it stimulates metabolism and affects the faster burning of calories. Caffeine from guarana significantly extends the metabolic effects of catecholamines (adrenaline, noradrenaline) by inhibiting phosphodiesterase, thus significantly enhances the effect of reducing body fat. In addition, preparation supports the effectiveness and efficiency of training, prevents the catabolic phase, and accelerates muscle recovery after exercise. The combination of caffeine and guarana extract repeatedly enhances the potency of the product, resulting in sustained for many hours increase in the activity of the body. Guarana more effectively and for longer than coffee increases alertness, concentration, logical thinking ability and memory. Take 2 tablets for about 30 minutes before the activity where there is increased physical activity or mental. Dobry produkt, dobra cena, przyzwoite dawki!